When people start to change their eating habits, a lot of them have a hard time keeping on track when going out to eat. Sometimes people end up avoiding going out to eat because it can seem too overwhelming to find something on the menu that fits their needs. However, it isn’t a good idea to get caught up in the idea of not going out to eat and writing it off altogether. Go out to eat, but don’t just default your choice to the salad on the menu. 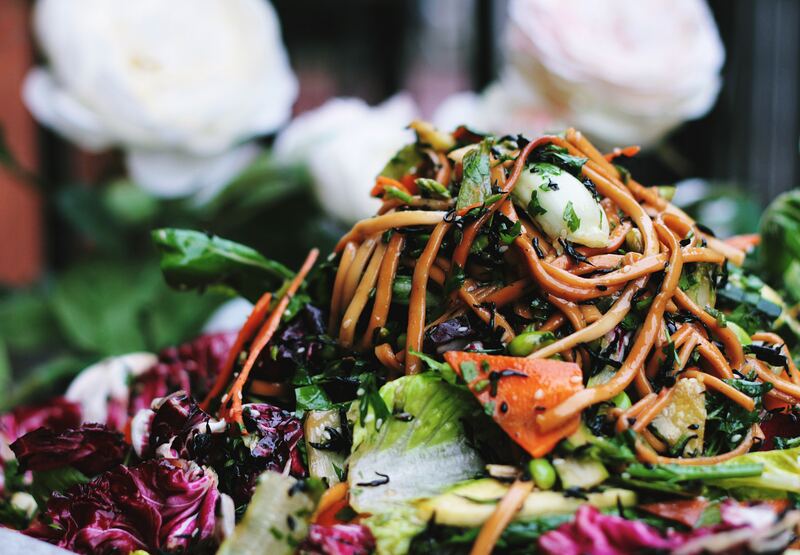 There are many times when that salad can actually be worse for you than other items on the menu that are a no-brainer for not being a good choice. Oh, the salad dressing. How we love thee, but we don’t love thee for our waistline. 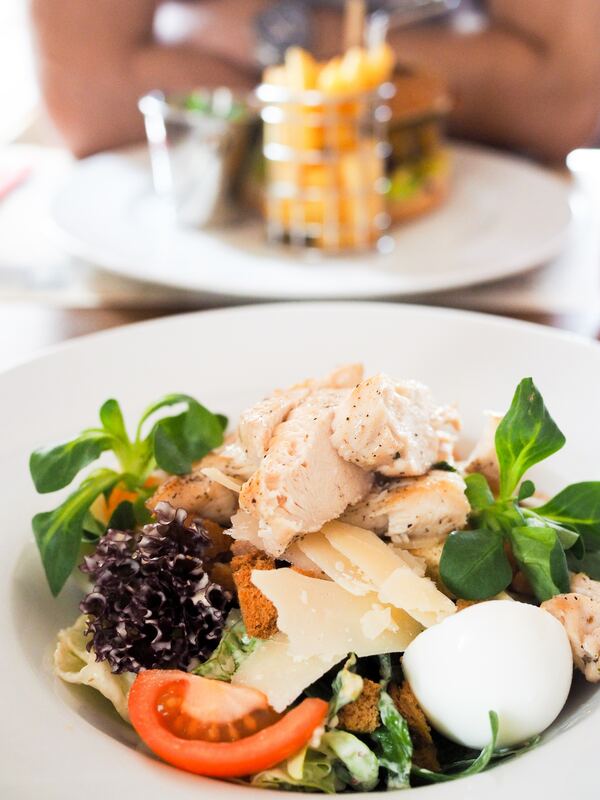 We admit, sometimes the salad dressing can be the best part but the salad dressing is better served on the side. Some salad dressing alone have close to 200 calories per serving and you know there is never just one serving dressing the salad. Ordering the salad on the side or no dressing at all is the best way to control how much dressing goes into your mouth. 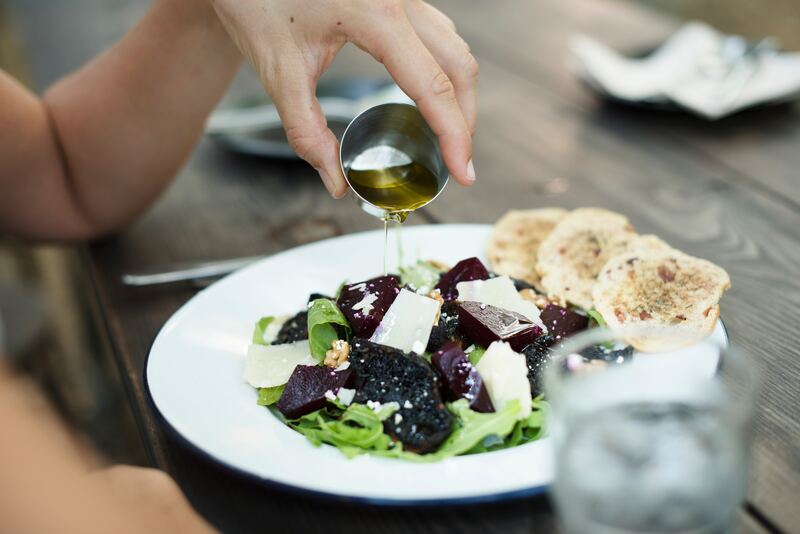 Oil and vinegar have a better chance of staying on the healthy side of the salad dressing spectrum. When it comes to a salad, the toppings can be the best part, however, some of the toppings just need to be left off. Especially when sometimes a salad just ends up being a lot of toppings. Some toppings to be cautious of are: sweetened dried fruits, candied nuts, candied bacon, multiple kinds of cheese, fatty meats, noodles etc. Yes, there are plenty of places that add fried foods to their salads, think foods like fried chicken, fried wontons, fried fish, etc. Just say no any of the fried toppings and stick to the grilled options. What is your favorite healthy salad topping?